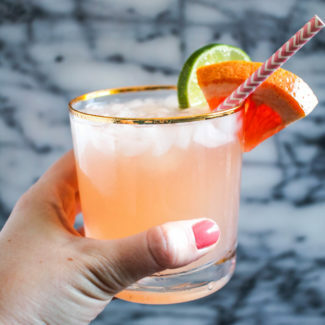 This cocktail recipe is so simple that I almost didn’t put it on the blog. 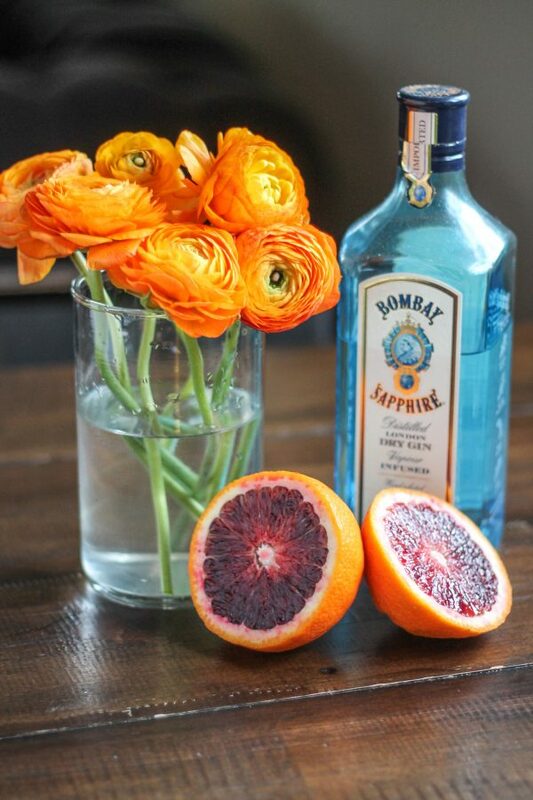 But I love the idea and taste of blood orange gin and tonics so much that I just had to share it with you. 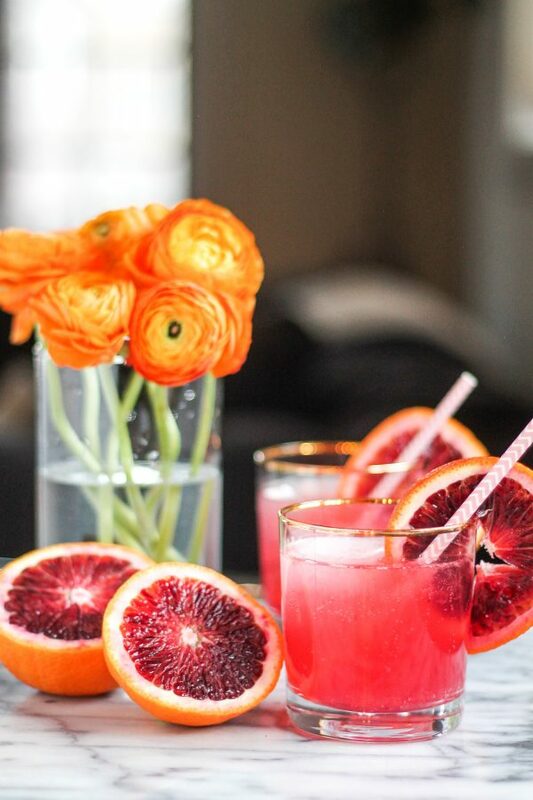 It seems like the perfect way to welcome blood orange season, and it is a fun twist on a classic cocktail. The arrival of fresh blood oranges in cold cold Chicago is a friendly reminder that spring is indeed on its way. 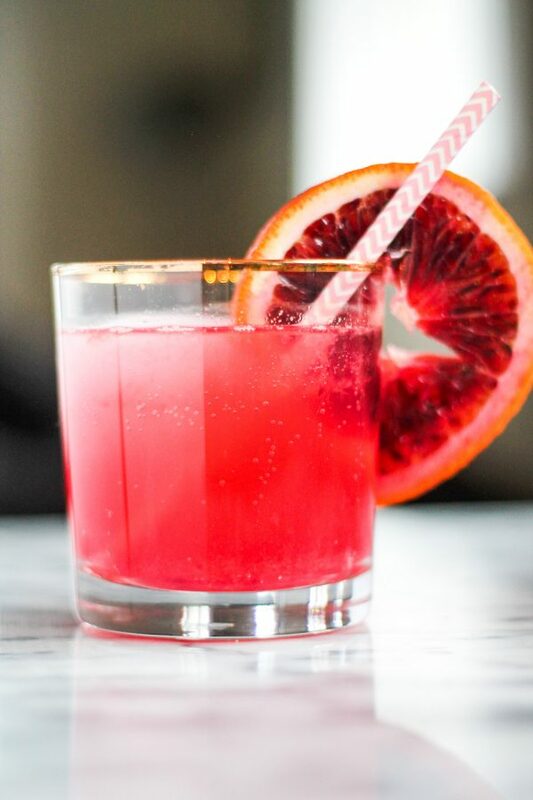 A blood orange gin and tonic is as easy as squeezing some fresh blood orange juice and then stirring it together with gin and tonic water. 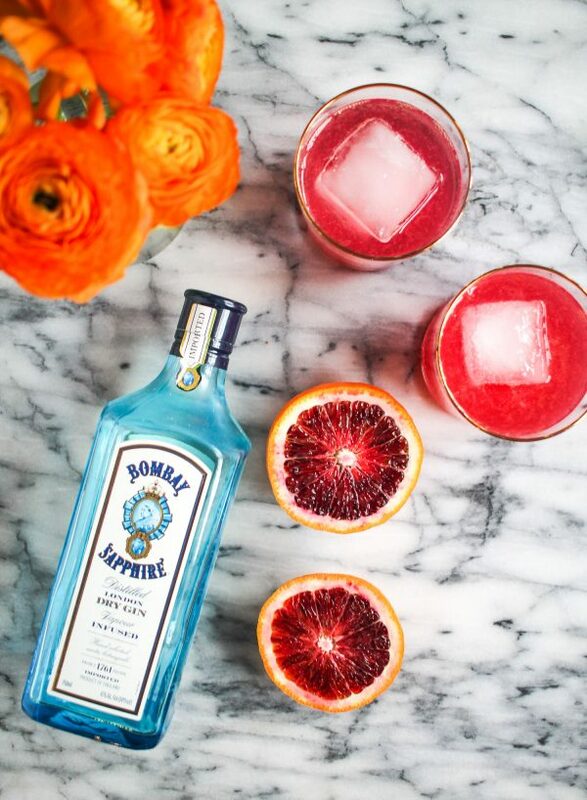 The sweet and tart flavor of the blood orange is a perfect compliment to the gin. It actually makes the cocktail dangerously delicious… because you can hardly taste the gin. 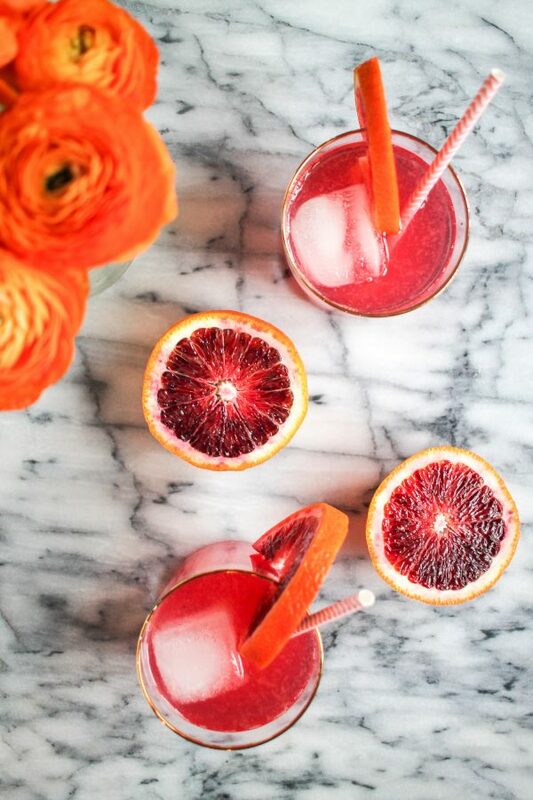 While I am not a huge fan of oranges, I really like blood oranges. I think they taste like a cross between an orange and a grapefruit. 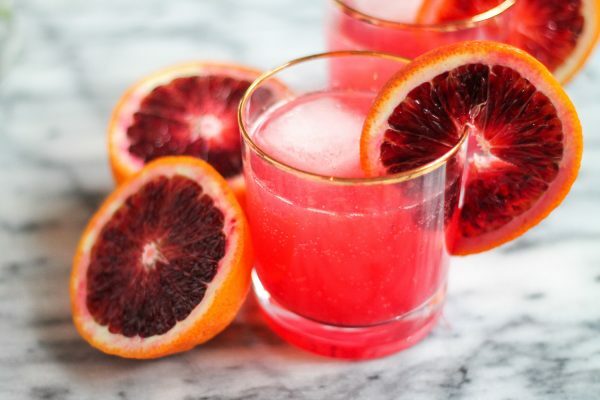 Blood oranges are the most gorgeous color, and they make the drinks a bright pink color. 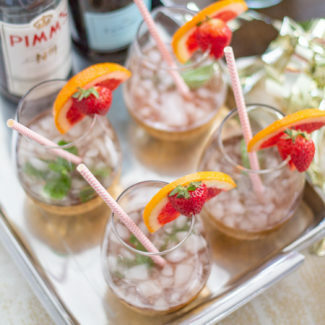 I think this would be a fun cocktail to serve at a bridal shower, the pink color is girly, and the blood orange gin and tonic is light and fruity. Usually, I use Koval Gin for Gin and Tonics. I like to support local Chicago companies, and I love the design of the labels, but my grocery store didn’t have it so I used Bombay Sapphire instead. 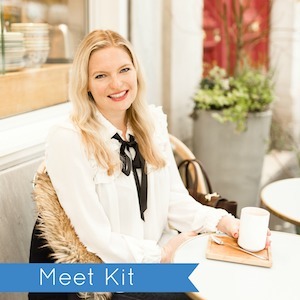 Want to try another G&T recipe? 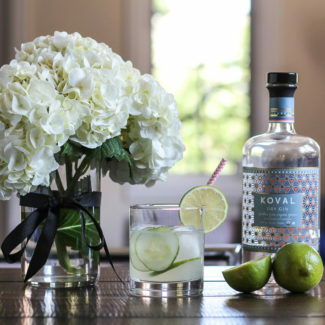 I love this Cucumber Lime Gin and Tonic recipe. 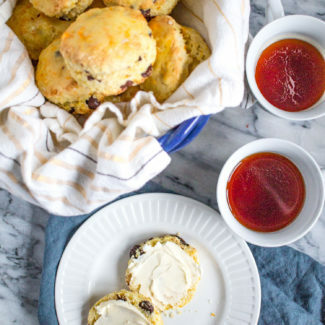 Heads up – this one takes a little more time since it is made with cucumber and lime infused gin. 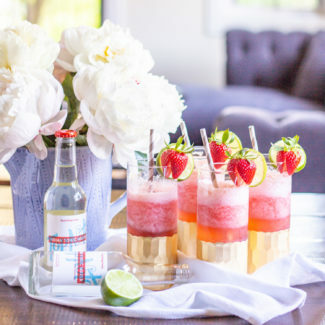 Oh and that is a larger format cocktail – perfect for nights when you have friends over! Squeeze all of the juice from one blood orange, straining out the seeds. Cut slices from the other blood orange to use as garnish. Place a couple ice cubes, or two giant ice cubes, in two glasses. 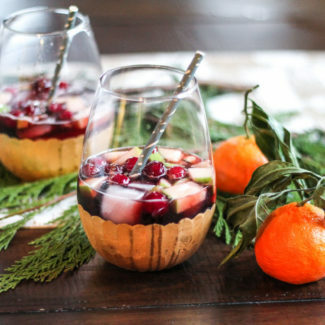 Divide the gin, tonic, and blood orange juice between the two glasses. Stir to combine. Serve right away!